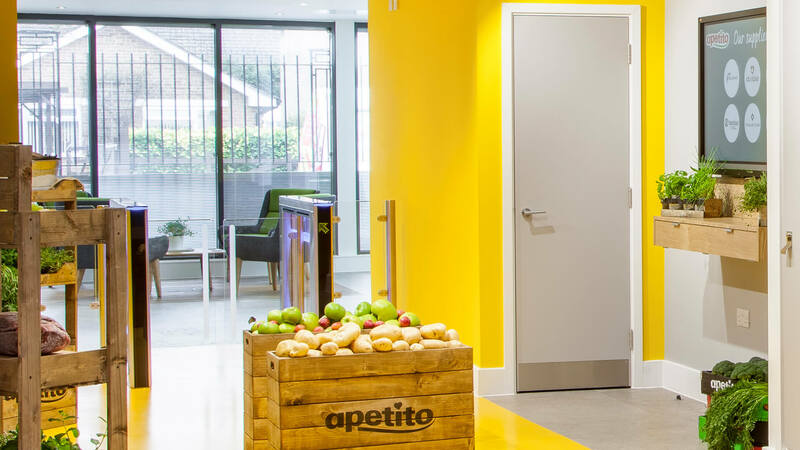 apetito are the leading food producer for the health and social care sector. 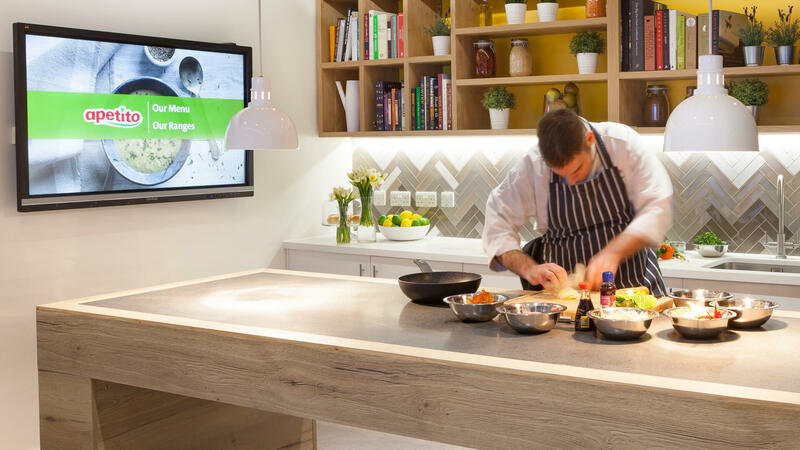 Based in Trowbridge, Wiltshire, apetito produces great-tasting, nutritious meals for care homes, hospitals and community services across the UK and in Germany, Spain, the Netherlands and Canada. 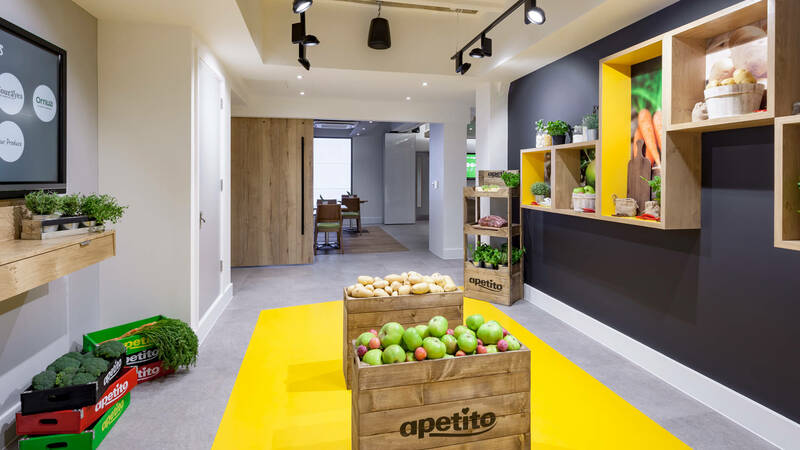 apetito are also the parent company of Wiltshire Farm Foods, the UK’s premier home-delivery service for ready-made meals. 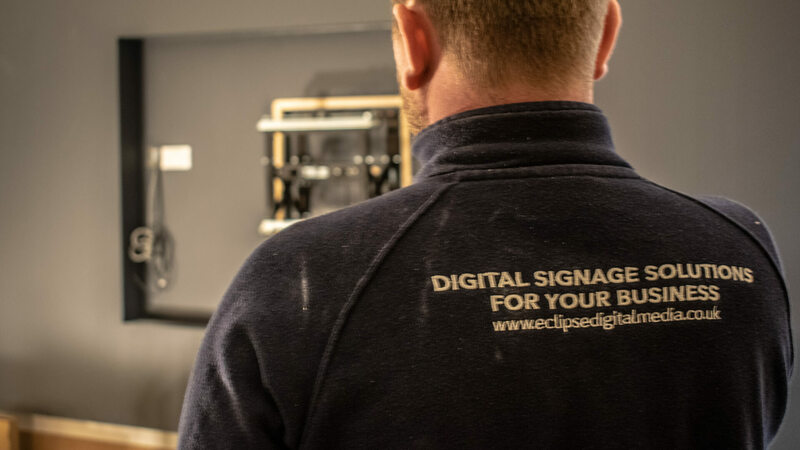 apetito approached Eclipse Digital Media with a view to explore and implement digital technologies to enhance the visitor experience for their customers. 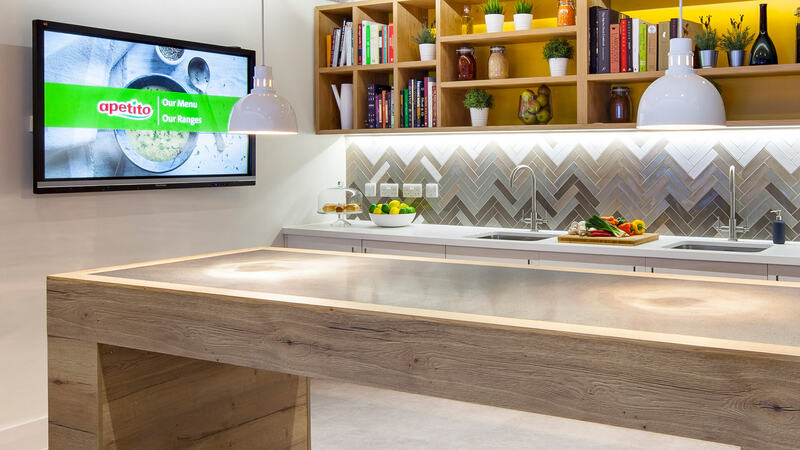 Eclipse Digital met with apetito on several occasions to explore their ideas, present new concepts and architect the solutions required to meet their needs. 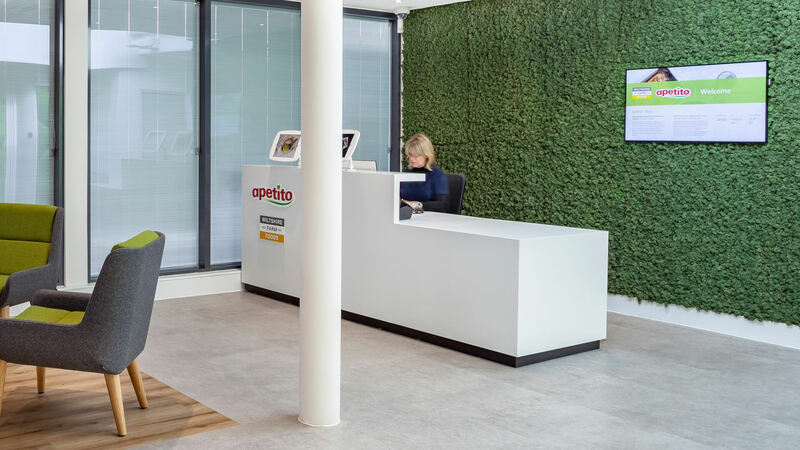 Working with apetito from start to finish on the digital transformation, Eclipse Digital delivered a complete digital experience using a variety of technology. 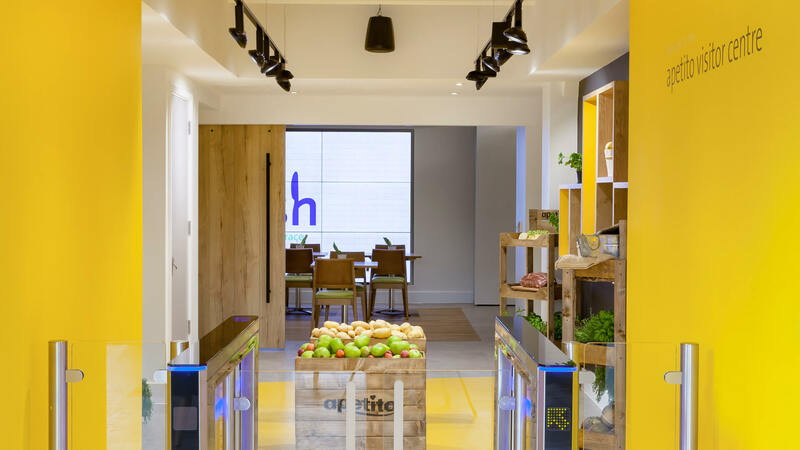 apetito wanted key areas of their visitor centre to offer different customer experiences and therefore required different technologies to be combined. 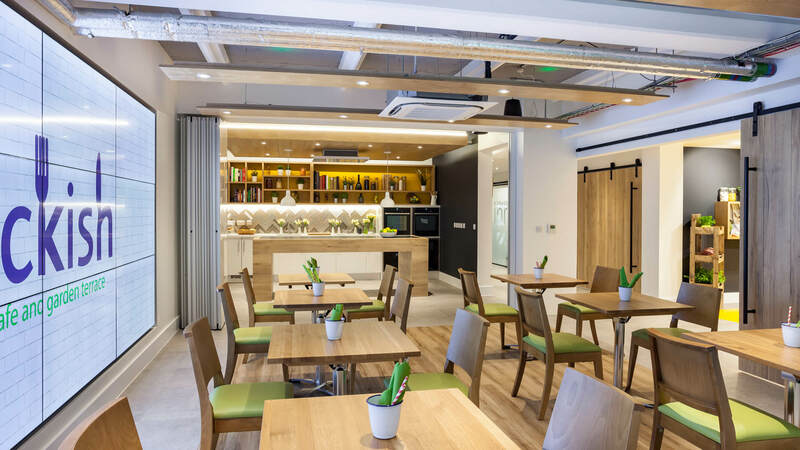 The key areas were: reception, customer waiting area, farmers market, boardroom, kitchen and dining room. 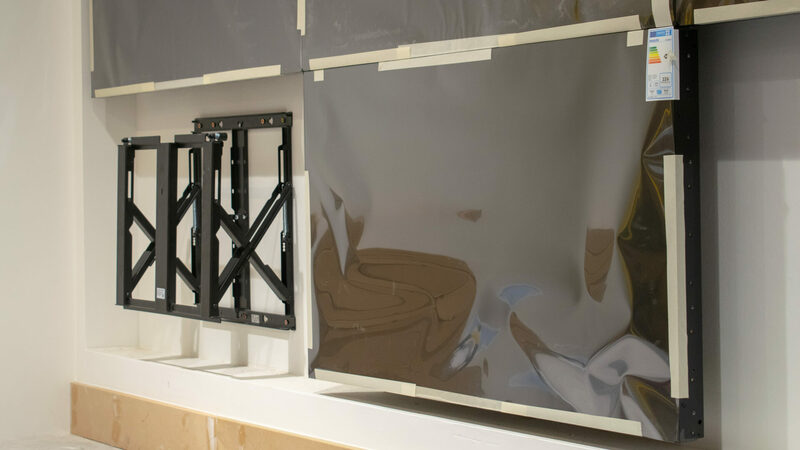 What was provided was the full solution including consultation, hardware, software, installation, content, support and maintenance. As the saying goes, first impressions count. 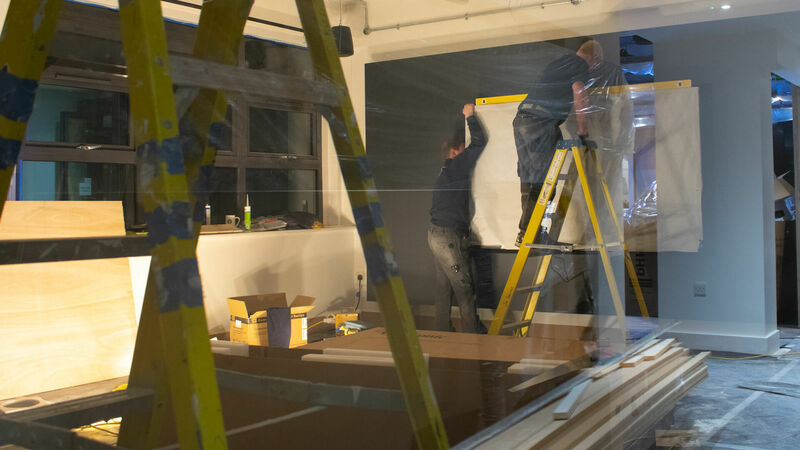 This critical area needed to provide a first impression of a forward thinking brand while achieving practical purpose. 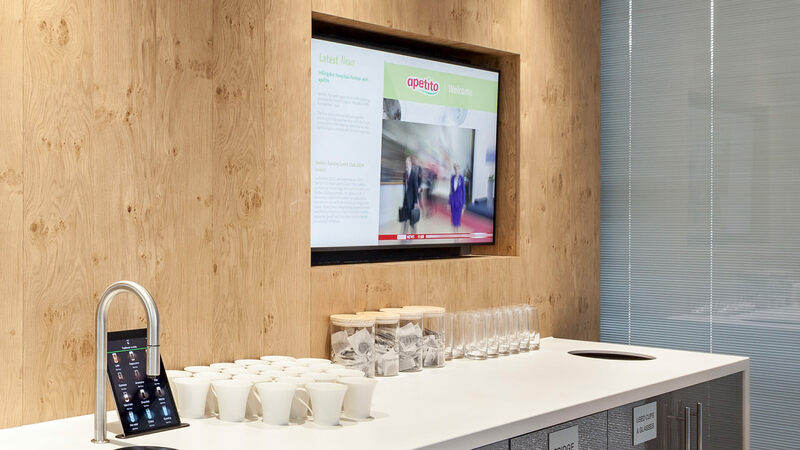 Behind the main reception desk sits a Samsung Tizen SoC display which runs latest news, time , date, weather content along side any special welcome messages for guests. Once the guests are signed in and waiting for their host, there is a waiting area with free drinks and snacks. 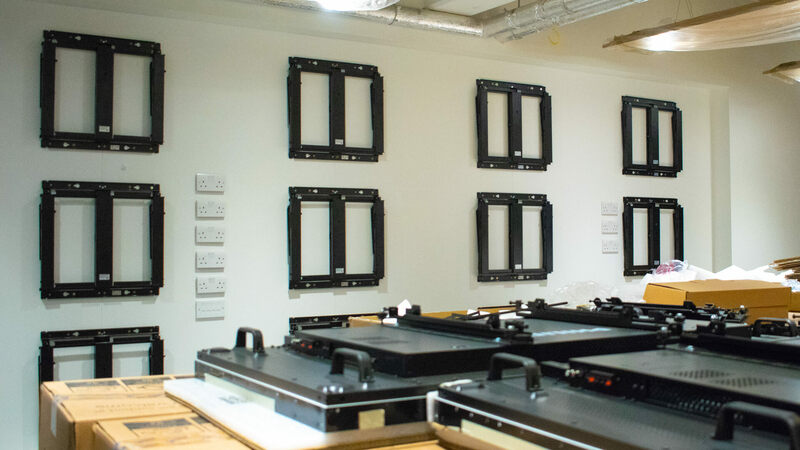 There is a table with four iPads which has buttons to activate various websites all restricted to specific domains using the Whitelist Browser plugin for embed signage. Also in this area sits another Samsung Tizen SoC display which alongside the latest news, time, date and weather there is an area where a Freeview TV feed is displayed. This is done using the Source Input widget for embed signage. 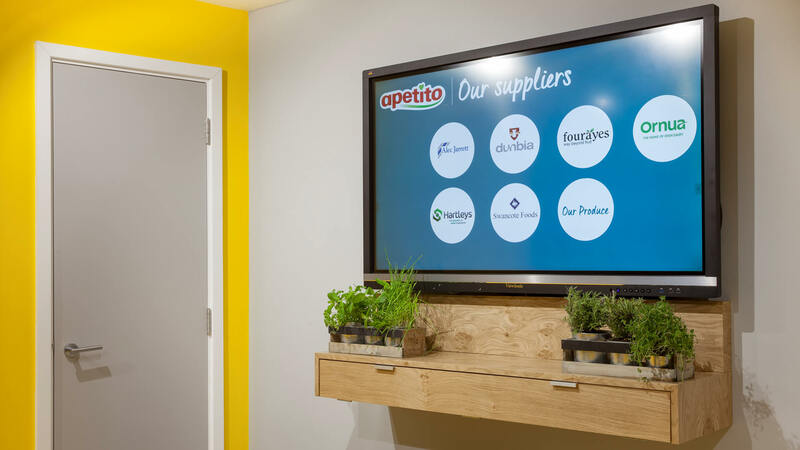 apetito wanted to give customers a real hands on experience and opted for a 55″ ViewSonic touch screen which runs content where customers can browse apetito’s supplier chain. 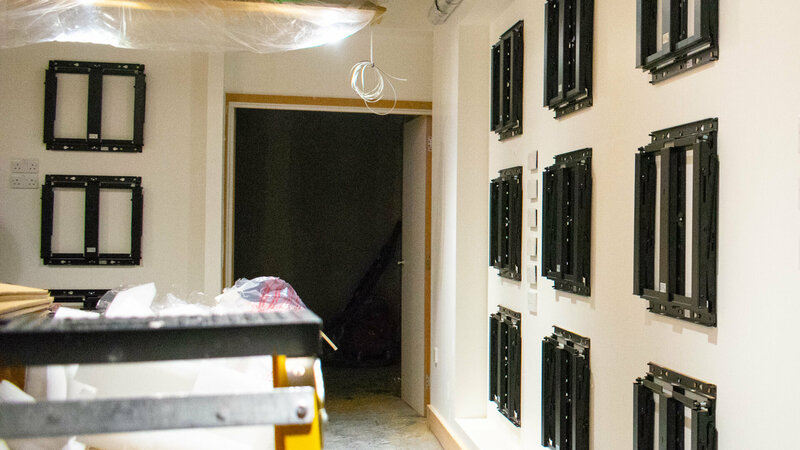 Making this area even more hands on and immersive is the use of RFID Place and Learn technology. 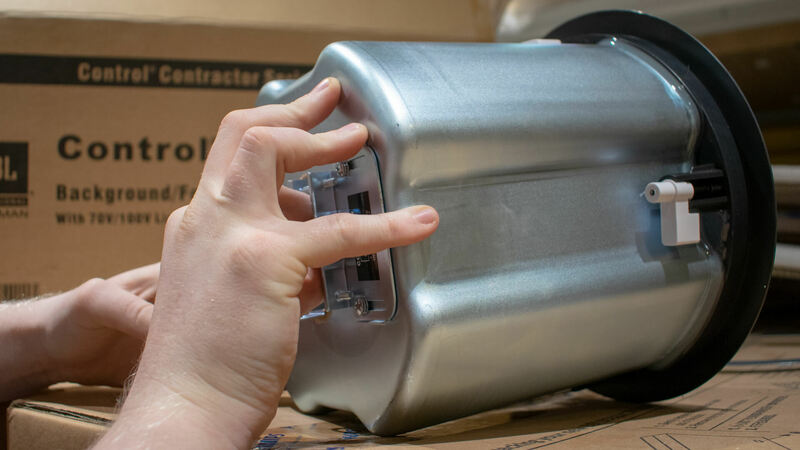 Using an Intel NUC PC, RFID sensors and tags and the embed signage RS232 plugin, various produce can be picked up from the shelving or crates and placed on the shelf below the touch screen to activate content related to the produce. 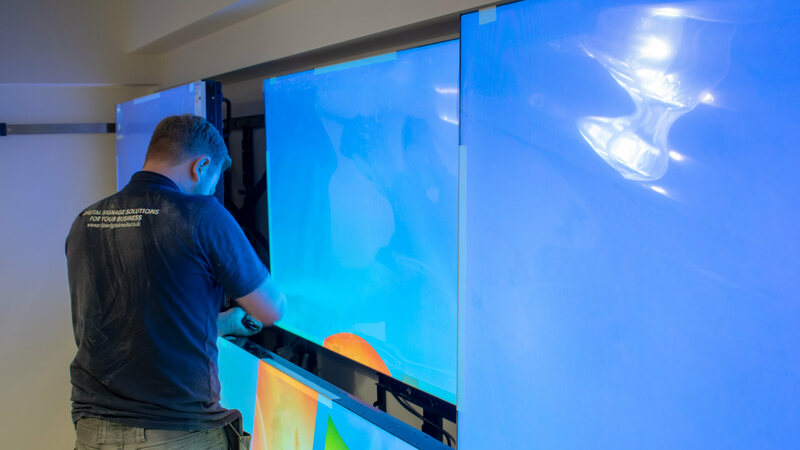 The 55″ Viewsonic touch screen with Windows OPS slot in PC runs content that is pulled directly from apetito’s Product API via JSON. Using the Dynamic Data plugin for embed signage, apetito’s produce api JSON feed has been configured to allow any field of data to be used within the embed signage layout builder. From here, Eclipse Digital Media built the touch screen content where users can browse the products apetito offer via categories. apetito also have the ability to specify which products are shown / excluded by entering the relevant product codes to appear for the relevant categories. There is also an section which shows ‘Today’s Menu’ which also links through to the products nutritional information pulled from the same feed. 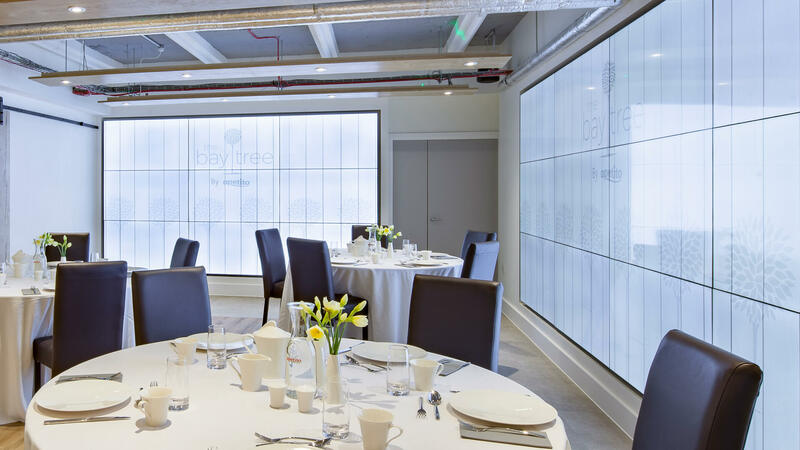 In the visitor centre boardroom, installed at the head of the room is an 86″ Viewsonic touch screen with slot in PC on a BTECH pop out bracket. 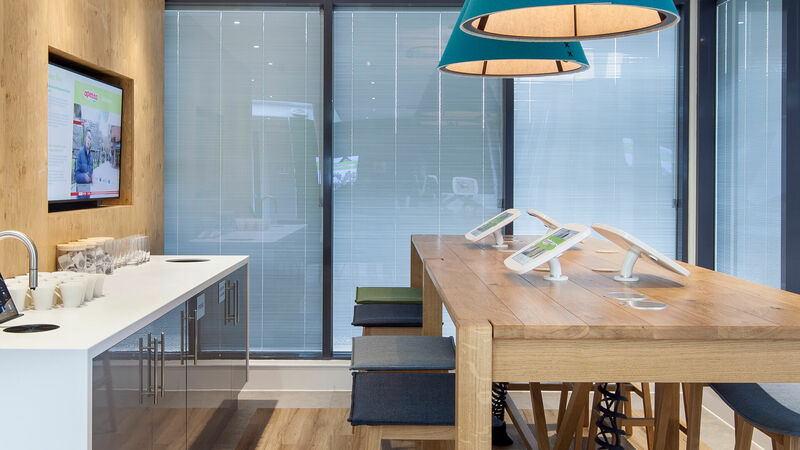 This touchscreen is the perfect technology for apetito who regularly use the built in white board features when holding meetings with clients. The screen also has Barco Clickshare attached to allow users to wirelessly present from their device to the display. 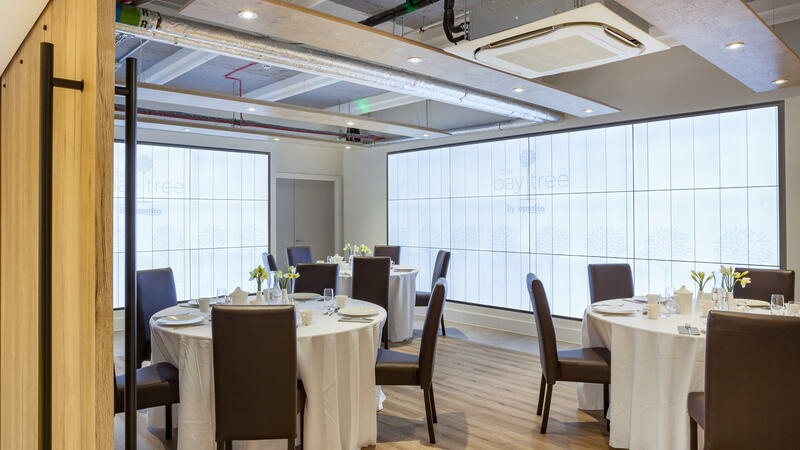 Providing the wow-factor in the dining room are two video walls configured in 3×3 and 4×3. These video walls saturate the room with apetito’s vibrant content which is used to create a ‘real-world’ effect for the visitors. 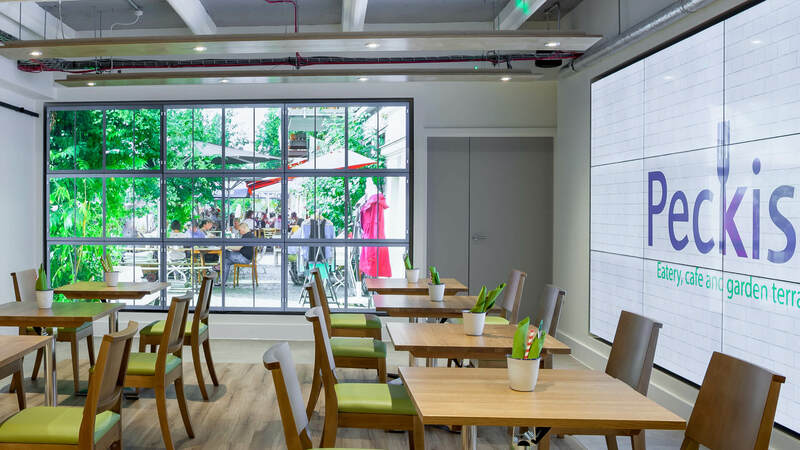 By changing the content to match various environments and the type of customer, visitors are forgiven for thinking they are dining on the busy sun-soaked streets of Barcelona rather than apetito’s Trowbridge HQ. 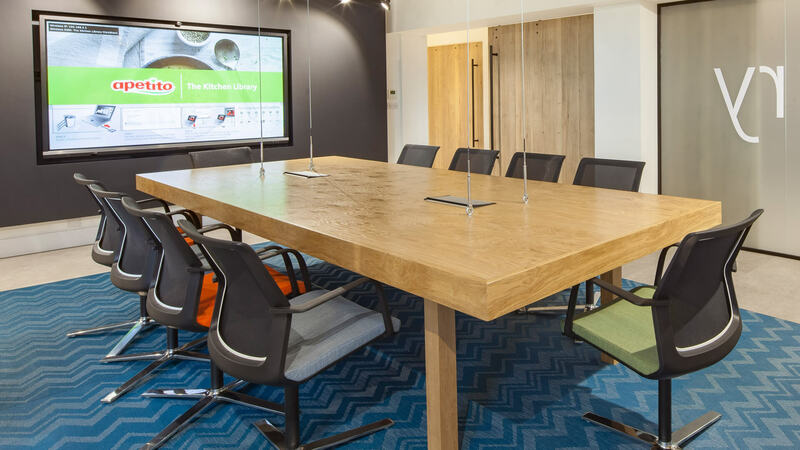 The video walls are also multi purpose, being used for presentations which are wirelessly presented from devices using Clickshare. 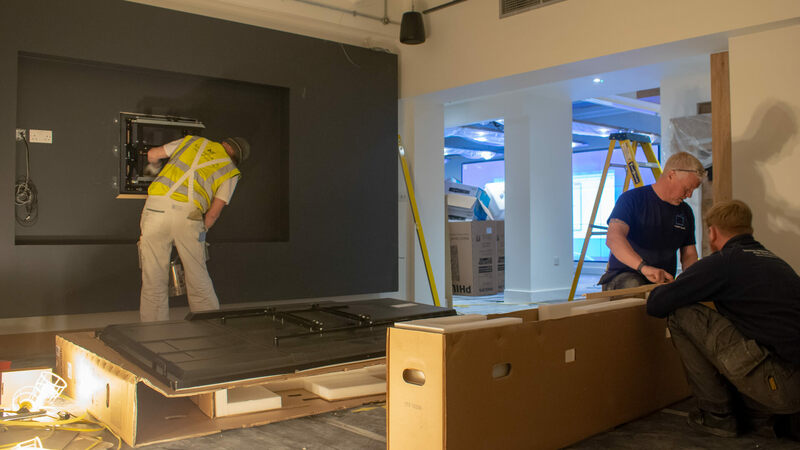 The video walls make use of Philips 55″ commercial 3.5mm bezel to bezel panels, iBase commercial media players and BTECH pop-out brackets giving a beautiful and practical video wall solution. 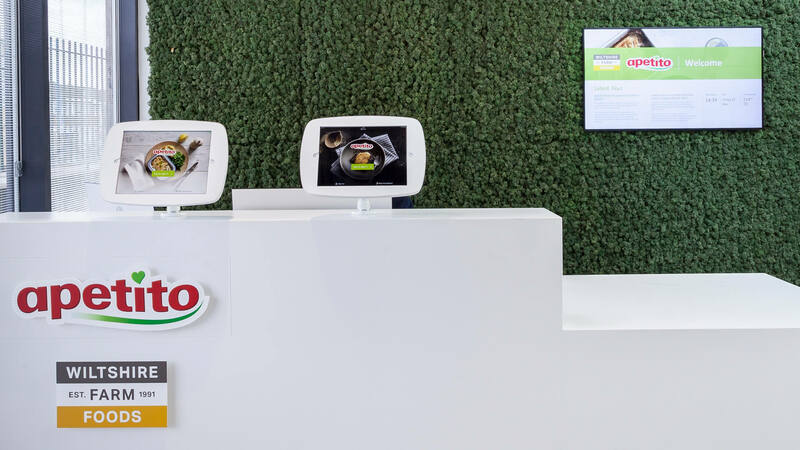 Using the device interactions plugin for embed signage, apetito have created a touch layout which is used to activate various content on any screen within the visitor centre. 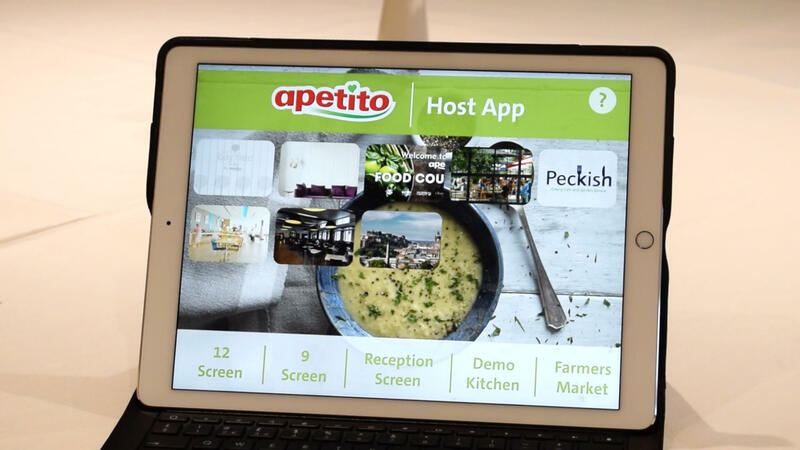 The apetito host uses the ‘Host App’ layout on an iPad Pro to trigger the content to match. The host app layout and commands sent to devices to change content is all managed and updated using embed signage. 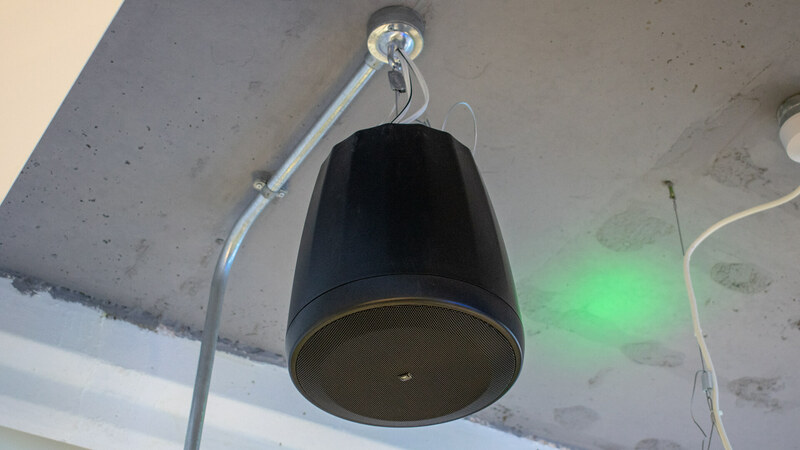 In some of the key areas, audio was an essential part of the overall experience to fully immerse the customers. 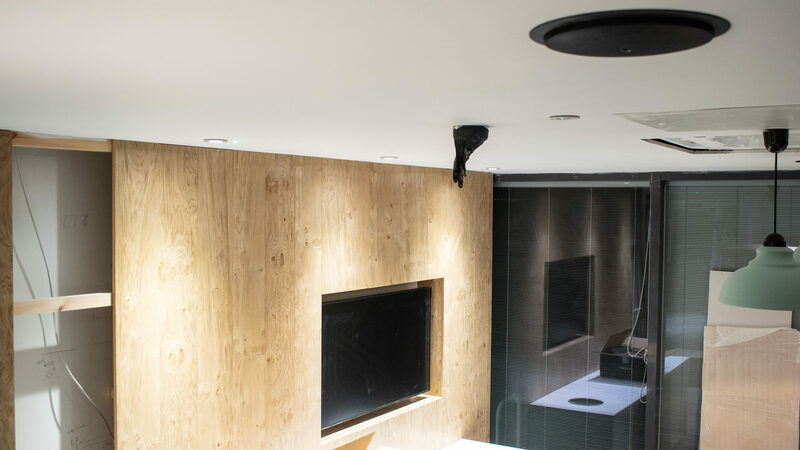 Using JBL pendant speakers or ceiling mounted speakers and apart rack mounted amplifiers, various inputs are taken in from the video walls, farmers market screen, customer waiting area and boardroom and resonated through to the applicable areas. 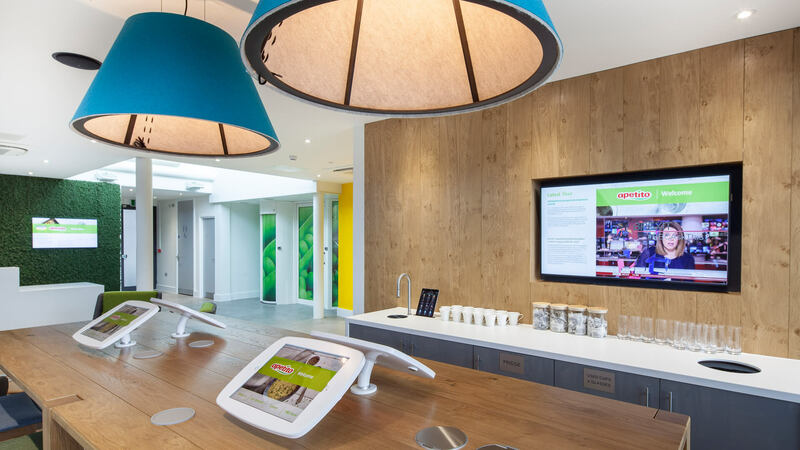 apetito use embed signage to run content across the entire visitor centre. The software allows apetito to combine various technology, operating systems and platforms to deliver a unified customer experience. Using the standard features allows apetito to build touch content and playlist of multiple media types including widgets very easily. 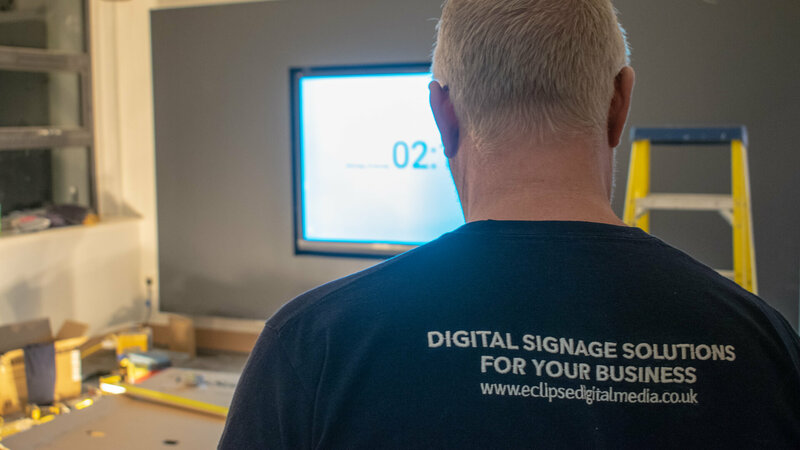 Then by using embed signage’s suite of plugins they can perform specific task such as the secure browser iPads, RFID / RS232 place and learn, JSON Product API feed touch layout and iPad host app to trigger content on any screen.